Since 1936, Gallup has asked respondents, "are you in favor of the death penalty for a person convicted of murder? "—a question which likely understates support for capital punishment, given that people convicted of simple homicide are not necessarily death-eligible. In 2018, 56 percent said yes, a slight uptick from the 55 percent who responded yes in 2017. 55 percent is the lowest proportion of support that Gallup has recorded since the end of the 1972-1976 moratorium. Support for the death penalty has declined slowly since 1994—a drop which more or less coincides with the plunging violent crime and homicide rate in the same time period. It is unclear if support for capital punishment would re-swell to its peak—80 percent—if crime were to rise again. Recent years have also seen a slight increase in the number of Americans who believe that the death penalty is applied "too often," up to 29 percent in 2018 from 21 percent in 2000. Still, a majority of Americans believe that the death penalty is applied either "about the right amount"—28 percent—or "not enough"—37 percent. "Not enough" has consistently been the most common answer in the 17 years that Gallup has asked the question. 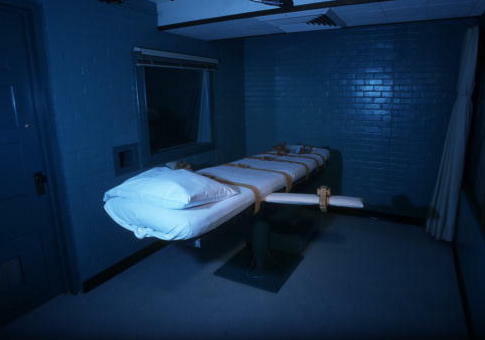 Gallup also reported a "new low" in the number of Americans who believe the death penalty is applied fairly—a mere 49 percent, compared to 41 percent who believe it is not, and 10 percent presumably unsure. That 49 percent is only two percentage points lower than when Gallup first began asking the question in 2000. Democrats are least likely to believe capital punishment is applied fairly—just 31 percent said it was in 2018—followed by independents at 47 percent and Republicans at 73 percent. Gallup does not assess support for explicitly abolishing the death penalty—for all offenders, not just simple murderers. But a Harvard-Harris poll earlier this year established that Americans oppose abolition by a two-to-one margin. This latest clear indication of majority support for capital punishment comes as Washington State's Supreme Court decided to unilaterally strike the state's capital regime down on the grounds that it was racially discriminatory. It remains to be seen if the state will reimplement a new system capable of passing state-constitutional muster. America's death rows, meanwhile, remain packed, with few if any executions being carried out year-to-year. This is in large part thanks to litigation by death penalty opponents, seeking to forestall any execution via the courts. The result is a system in which, earlier this month, the Supreme Court heard the case of Vernon Madison; Madison has been on death row so long that he has developed vascular dementia and cannot remember his crime. This entry was posted in Issues and tagged Crime, Department of Justice, Gallup. Bookmark the permalink.